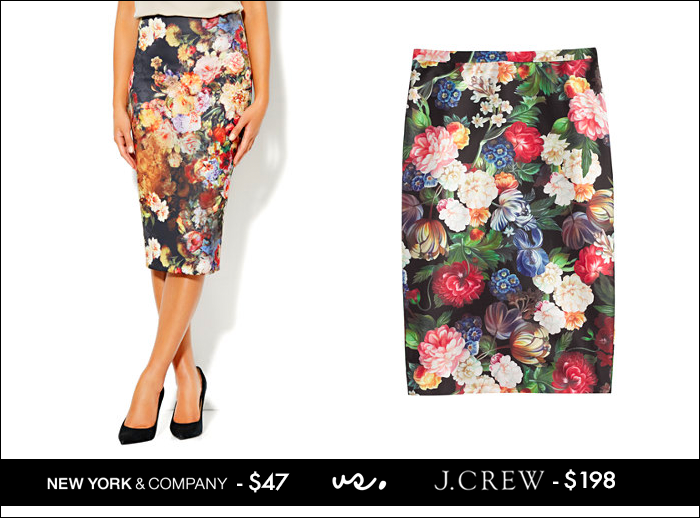 If you are shopping for a floral skirt for fall - here are a couple of options - one budget - one splurge - and they look very similar. Plus, New York & Company is having a great sale - $30 off $100 (Code: 3550) / $20 off $75 (Code: 3549) / $15 off $50 (Code: 3548). Have a great day - thanks for reading!